A dark and suspenseful read. It isn't a simple tale rehashing a litany of abuses suffered by a slave girl. Her story is much more complex than that. The Confessions of Frannie Langton is a compelling read and will have you guessing to the end. Frannie is a complex character. Yes, she was a slave with no control over her much of her life but when she did have the chance to make any decisions she chose very poorly and with drastic consequences. There were occasions when I felt afraid for Frannie and other occasions when I didn't feel a whole lot of sympathy for her. Maybe this was because a lot of the darker events are alluded to. The scientific experiments and Frannie's participation in them and in the suffering of others are glossed over and we are never quite sure what's happening behind closed doors. A lot is left to our imagination. The book is to be adapted for TV and so I can imagine that some of the more sordid scenes will be teased out for added drama. The murder trial at the very end of the book ties all the loose ends together very nicely. 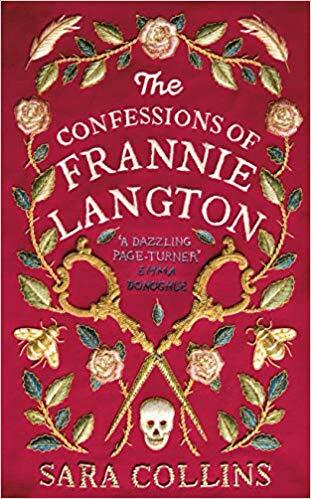 The Confessions of Frannie Langton released on the 4th of April.